Fits like a glove and is look through, breathe through and drink through. Official blend of materials ensures clear vision and 13% Spandex means not only a great fit but comfy too. 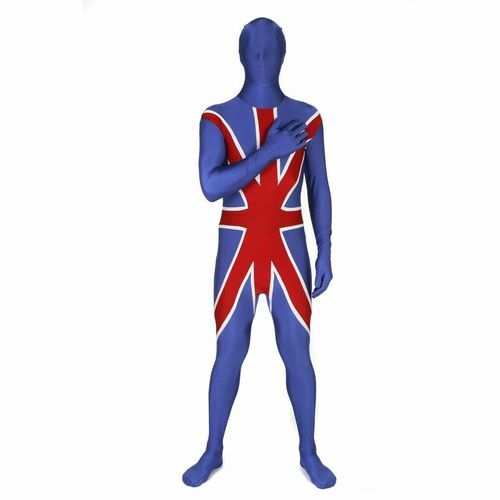 Ideal fancy dress costume for many events including sporting events, Olympics, stag night and festivals. Size M - Suitable for Height 5 to 5 4"
Size L - Suitable for Height 5 4" to 5 9"
Size XL - Suitable for Height 5 10" to 6 2"
Size XXL - Suitable for Height over 6 2"